Turbo charged engines need to be able to breathe; to assist this a range of turbo down pipes have been developed to suit high powered turbo applications. To enable an increase in performance we match pipe diameters for the peak performance gains. This system has been constructed utilising state-of-the-art manufacturing processes and advanced materials to give a dramatic reduction in weight over O.E. This exhaust has been power optimised for your vehicle to give optimal model specific performance increases across the entire usable rev range. 76MM with OE fitment. 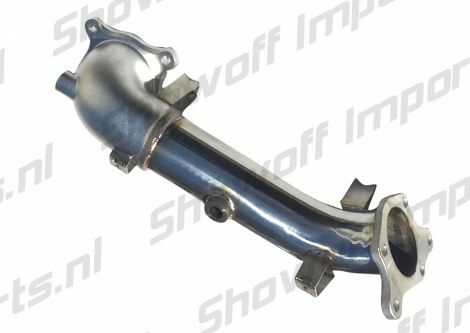 I found the Honda Civic Type-R FK8 17+ Catalyst De-Cat FrontPipe Invidia on ShowoffImports.nl and thought you might like it.